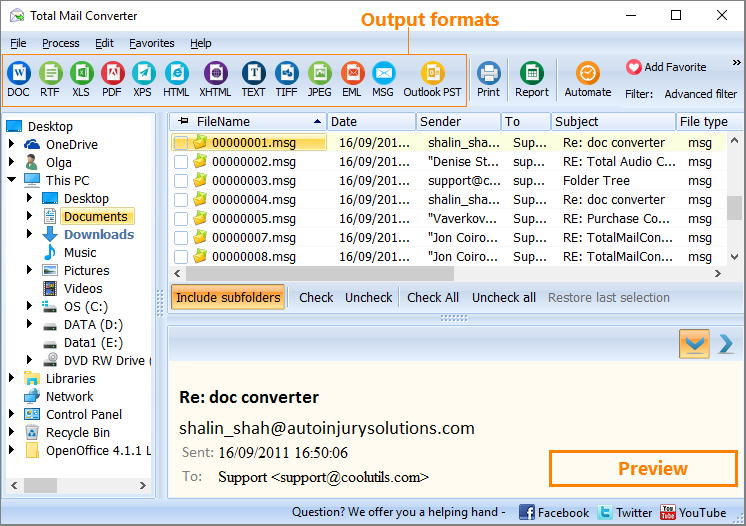 Print MSG to PDF In Batch with the help of Coolutils! Processing many emails at a time requires smart auto-settings. Total Mail Converter offers you an auto fit-to-page option to make all your files look good. 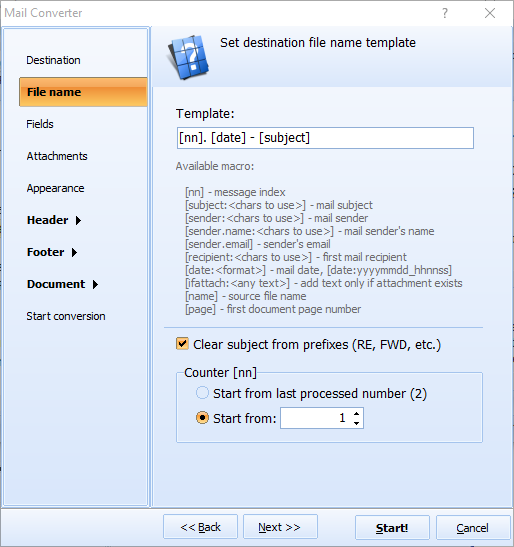 Total Mail Converter has an interface designed to guide users in the proper direction. You do not need to read lengthy manuals or attend lectures. Just view a brief video guide on our official website. This program can be operated in a non-GUI mode via command line. Commands are available via the Help menu. Alternatively you can make the setting in the GUI and the app will generate a ready-to-use bat file for you. 1. Launch the interface and click on the folder (inbox, outbox, etc.). After you do that, all MSG files will appear in the panel located to the right of the folder tree. Check out the ones, which you want to save as PDF files. 2. Select PDF in the menu above and view the wizard's options. Set destination for your PDF files. Check fields, which you want to export. Select parameters, which you would like to apply to attachments. 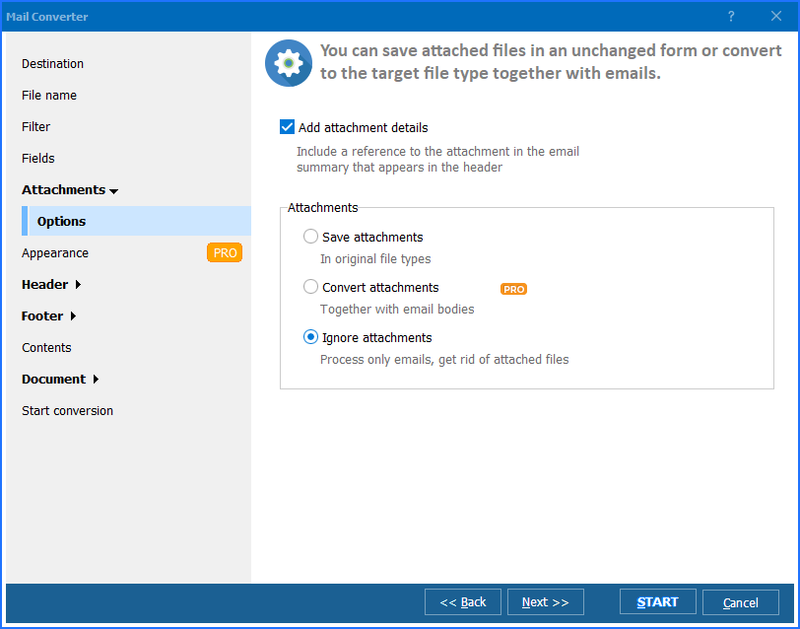 You can save attachments in a new folder, unzip archived attachments, convert attached documents, etc. Tune your output document appearance using internal scheme or external CSS file. Select paper size and paper orientation, margins, properties, compression, encryption, and sign your PDF document. Open the Start conversion tab and review your settings. 3. Press Start to convert MSG to PDF. In order to test Total Mail Converter's functionality prior to buying it, use the free trial version, which you can download directly from the webpage. After 30 days, you'll need to buy the registration key to activate the license version. Total Mail Converter is very affordable. We offer several licenses to suit every need, from personal to server-based corporate use. If you want to integrate the MSG to PDF functionality to your app, we can provide you with a solution too. The command line Total Mail Converter with ActiveX will help you to seamlessly integrate it to your system. 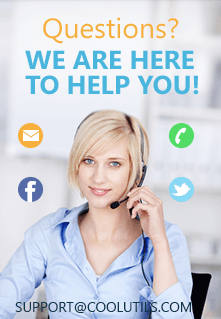 If you have any questions, don't hesitate to contact us immediately. We will be happy to help you asap.